New patterns evolve when old genes "learn" new tricks. 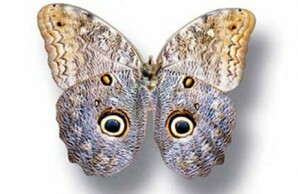 The eyespot patterns in the Morpho butterfly (image 1) and the Caligo butterfly (image 2) evolved when genes that play a role in building other body parts and body patterns were co-opted. No new "spot" genes were involved. Darwin closed the most important book in the history of biology by inspiring his readers to see the grandeur in his new vision of nature—in how “from so simple a beginning endless forms most beautiful and most wonderful have been, and are being, evolved.” For the next century, many kinds of biologists—geneticists, paleontologists, taxonomists—sought to test and expand that vision. The result of their work was the so-called modern synthesis, which organized the basic principles that have guided evolutionary biology for the past fifty years. In spite of the labels “modern” and “synthesis,” however, an important element was still missing from evolutionary theory. 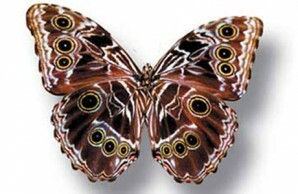 Biologists could say, with confidence, that forms change, and that natural selection is an important force for change. Yet they could say nothing about how that change is accomplished. 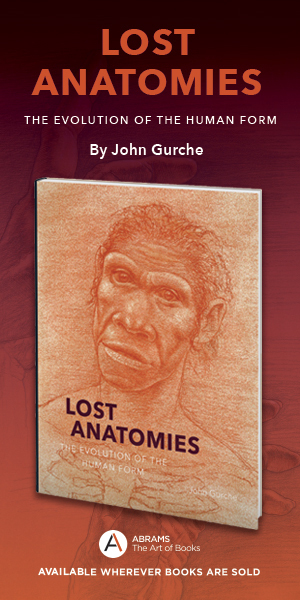 How bodies or body parts change, or how new structures arise, remained complete mysteries. 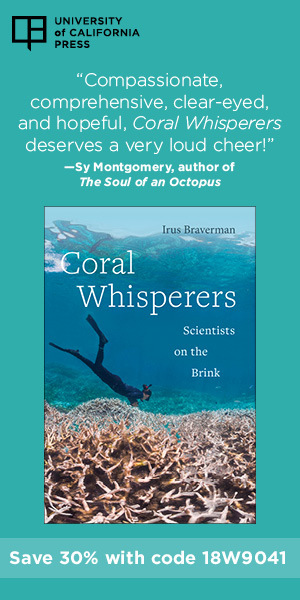 Contemporary biologists are no longer savages staring at passing ships. In the past twenty years biologists have gained a revolutionary new understanding of how animal and plant forms and their complex structures arise and evolve. The key to the new understanding is development, the way a single cell becomes a complex, multibillion- or trillion-celled organism. And development is intimately linked to evolution, because all changes in form come about through changes in development. As an animal embryo grows, it must make countless “decisions” about the number, position, size, and color patterns of body parts. The endless combinations of such decisions made during development have led to the great variety of animal forms of the past and present. Advances in the new science of evolutionary developmental biology—dubbed “evo-devo” for short—have enabled biologists to see beyond the external beauty of organic forms into the mechanisms that shape their diversity. Much of what has been learned, about animal forms in particular, has been so stunning and unexpected that it has profoundly expanded and reshaped the picture of how evolution works. In the same stroke, evo-devo delivers some crushing blows against the outdated rhetoric of those who doubt that complex structures and organisms arise through natural selection. Darwin always insisted that embryology was crucial to understanding evolution. In a letter to the American botanist Asa Gray, shortly after the publication of the Origin of Species, he lamented, “Embryology is to me by far the strongest single class of facts in favor of change of forms, and not one, I think, of my reviewers has alluded to this.” Yet the puzzle of how a single egg gives rise to a complete individual long stood as one of the most elusive questions in all of biology. Many biologists once despaired that development was hopelessly complex. Each kind of animal, they thought, would require its own unique developmental explanation. With the advent of genetics, biologists came to realize that genes must be at the center of the mysteries of both development and evolution. After all, butterflies look like butterflies, elephants look like elephants, and we look the way we do because of the genes we each carry. Those physical resemblances, and many other attributes, would surely be traceable to the genes within each species. The challenge, given such a focus on genes, was that until relatively recently no one knew which of the thousands of genes in every animal shape its formation and appearance. The impasse was finally broken by the humble fruit fly. Geneticists devised schemes to find the relatively small fraction of genes that control the patterning of the fly’s body and the formation of its parts.